Renée C. Byer is a catalyst for change. She is an award-winning documentary photojournalist and multimedia field producer best known for her in-depth work focusing on the disadvantaged and those who otherwise would not be heard. Her ability to produce photographs with profound emotional resonance and sensitivity earned her the Pulitzer Prize for feature photography in 2007 and dozens of national and international honors, including the World Understanding Award from Pictures of the Year International, and Pulitzer Finalist in 2013. Renée C. Byer is a catalyst for change, a Pulitzer Prize-winning documentary photojournalist, and Emmy nominated multimedia field producer best known for her in-depth work focusing on the disadvantaged and those who otherwise would not be heard. 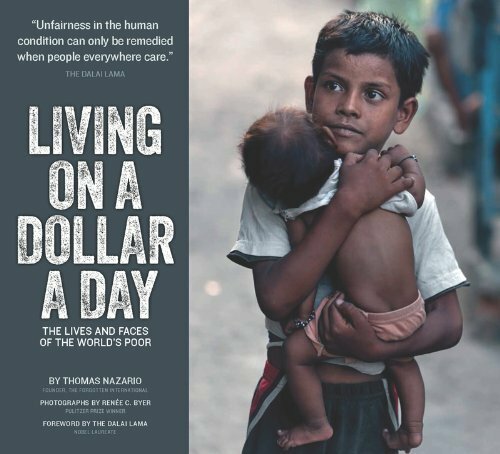 The work of Pulitzer Prize-winning photojournalist Renée C. Byer, visual author of the book, Living on a Dollar a Day: The Lives and Faces of the World’s Poor, now a worldwide traveling exhibition that inspires viewers with compassion, education and social action. The Sustainable Development Goals, ratified this past September by all 193 countries in the United Nations, are guiding efforts to eliminate poverty and hunger by 2030.